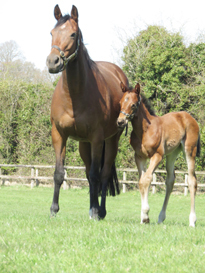 It is Punchestown Festival week and it started with the birth of our last foal and a second winner for Lilbourne Lad. Theola is an excellent mother. 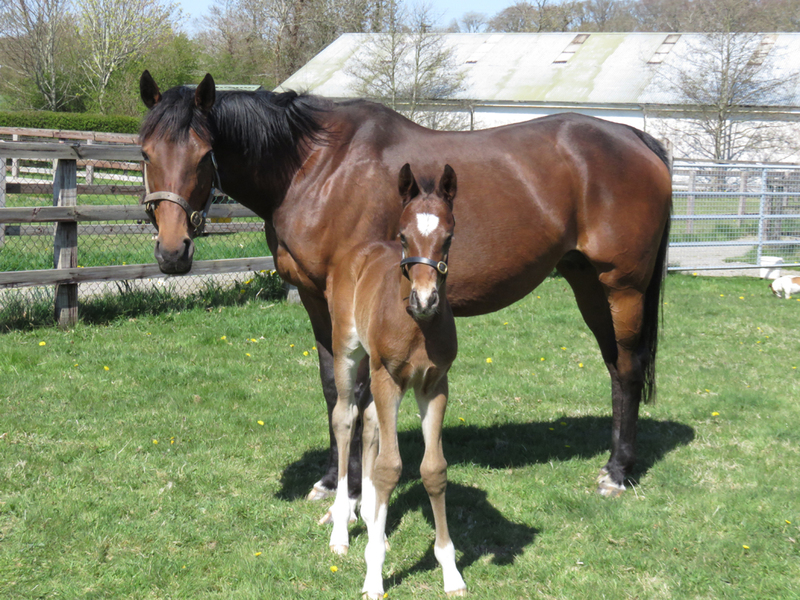 This is her fourth foal, a big, strong colt by Cape Cross. Lilbourne Lad proves to be popular at the Osaurus breeze-up sale in France. Racing Post, 29.04.15: "Rathbarry Stud resident Lilbourne Lad has already opened his account as a sire and provided the early interest when his sole representative in the catalogue, a filly from the speedy family of Tenue De Soiree and River Rose, fell to Rouget for €52,000. "I didn't buy any yearlings by this stallion but I liked this filly's physique and I have a feeling about the sire," said Rouget, who was not acting for any specific client." This is a lovely quote from an outstanding trainer such as Jean Claude Rouget. Let us hope is gut feeling proves accurate! 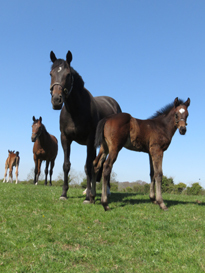 We are certainly very happy to report that Lilbourne Lad has now already sired two winners and several placed horses. He was the first freshman sire to get off the mark. We bred two mares to him in his first year at stud and the resulting progeny are Forgotten Wish, in training with Richard Hannon and the unnamed colt out of Nisriyna. He is in training with Ger Lyons. Hopefully they will fly the flag for Swordlestown Little later on in the year. 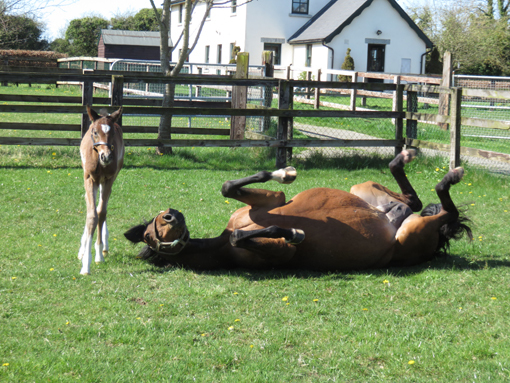 Everyone is enjoying the lovely warm sunshine - there is a lot to be said for being born in April! 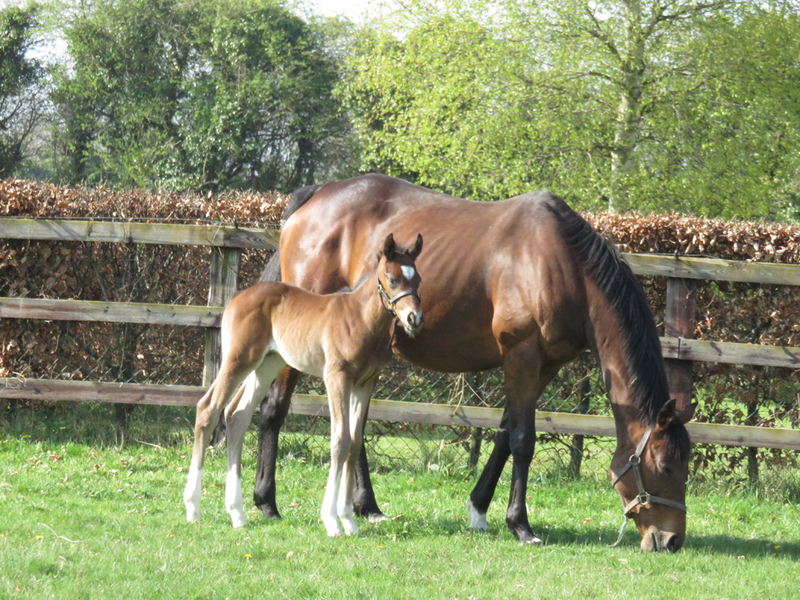 Third Dimension started off the last round of foalings on Thursday night, when she had a pretty filly by first season Darley sire Epaulette. Epaulette is an Australian-bred horse who is currently standing at Dalham Hall Stud in England. 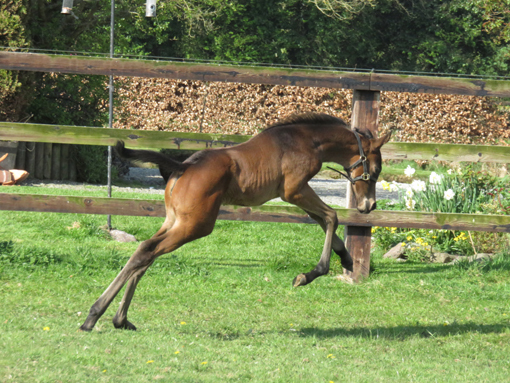 Des promptly christended her Epoisse and the little cheese is already practising to be a racehorse! 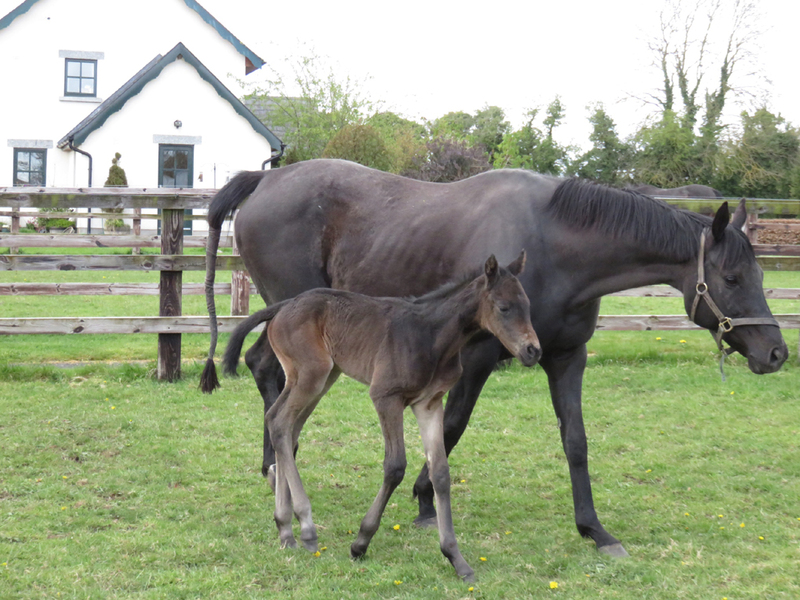 Theola timed her foaling to perfection and her Cape Cross colt was up and nursing by 22.00 last evening. It would be very easy if they were all like that! 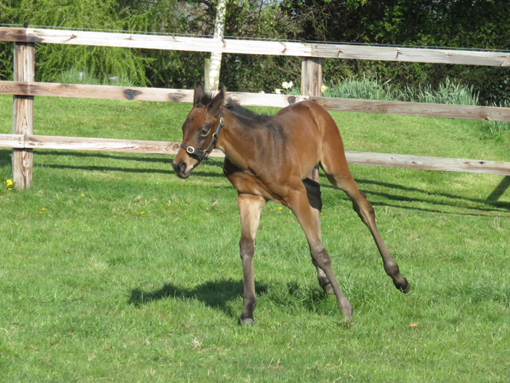 Sogno Verde's Galileo colt is now one week old. 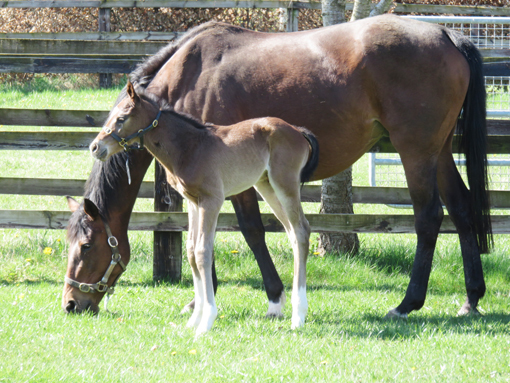 Mother and baby are doing well and have spent most of the week-end out in lovely sunshine. 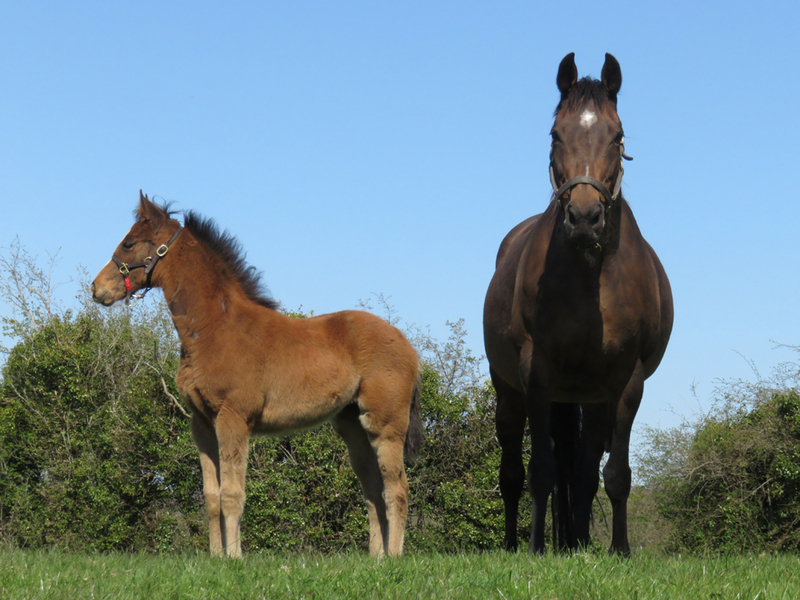 We are hugely excited to have a foal by the best sire in the world! 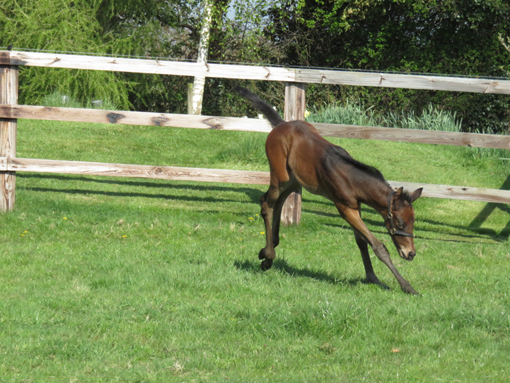 Enjoying life is the Epaulette filly ex Third Dimension. 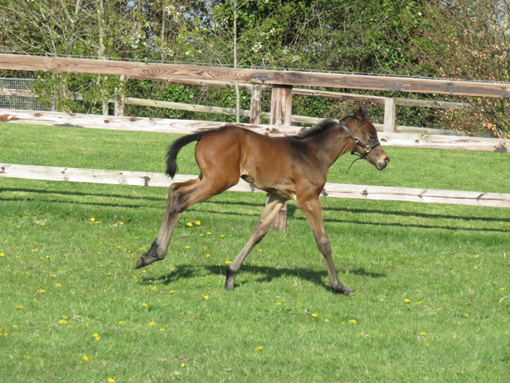 This lovely strong filly is by Lilbourne Lad out of Khatela.